Street artist Pejac has recreated Monet's Impression, Sunrise, the piece which is thought to have given birth to the Impressionist movement. 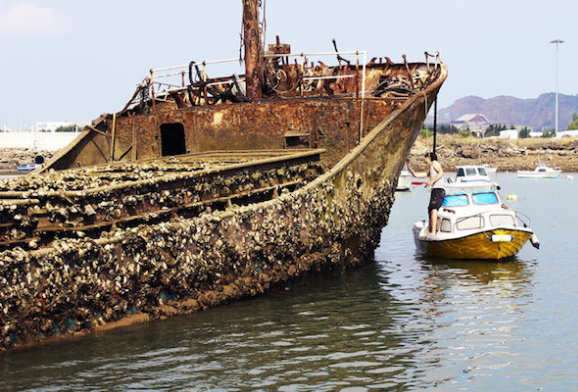 Pejac recreated the idyllic scene using as rusty hull of an abandoned ship for a canvas whilst he painted balancing on a boat in the harbor of Santander. He said of the piece which inspired him: "Impression, Sunrise is an image that has always amazed me." 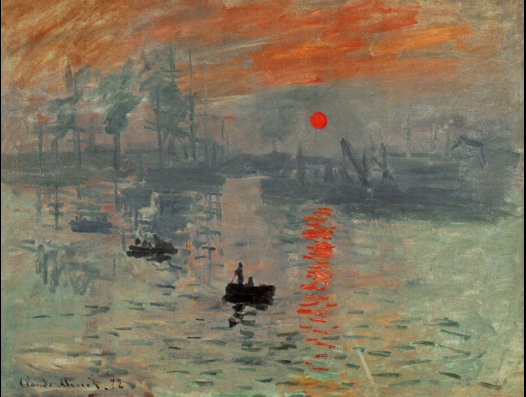 "The first time I saw the Monet painting I was surprised by the title as I thought it was actually a sunset." 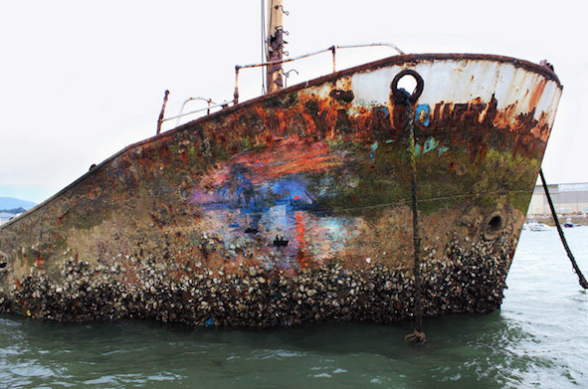 On his reason for moving from the streets to the sea, Pejac said: "I think that the rusted metallic hull of this semi-sunk ship gives life to the image"
"With the daily sea tides of the Cantabric ocean the work is constantly above and below water. 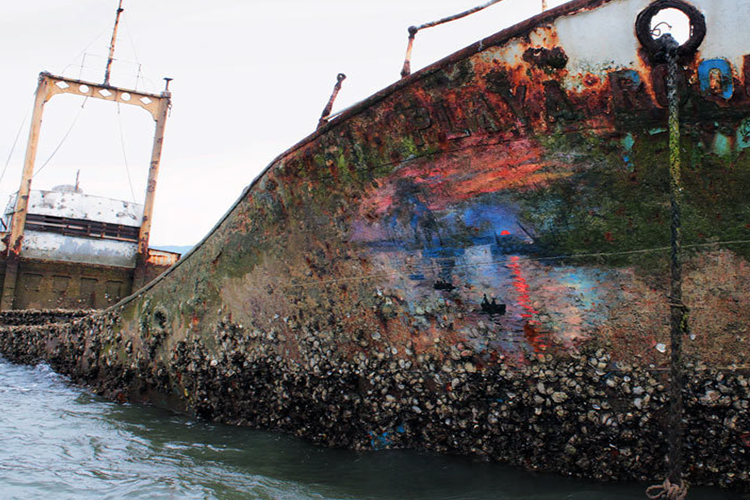 The sea acts as a theater curtain." 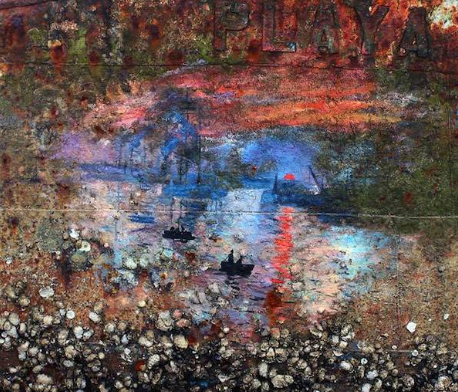 Pejac describes himself as a street artists as well as a muralist and a fine artist. "Nevertheless, I am very moved by working in the public space as it is the ultimate form of giving art to people who might have never stepped into a museum or gallery."